Cyber security is the most exciting industry out there. James C. Foster is the CEO of ZeroFOX, the Social Media Cyber Security company. Recognized as an industry veteran and a world-renowned thought leader on cyber security, he has shared his knowledge as a contributor on NBC, Bloomberg Business, MIT, and at the infamous Black Hat security conference. Foster (he dropped 'James' after college) has published more than one dozen books in his industry, holds multiple patents and is a fixture on Capitol Hill speaking about increased international cyber threats. He is a hacker, author, CEO, and leader who is changing the industry through innovative technology and unrivaled dedication. It's the most exciting industry in the world. The sophistication of our adversaries gets greater every year and with each "win" I know that we are making a direct impact and a difference. I have two competitors every day -- those trying to out-innovate and outsell me, and those trying to infiltrate my clients' systems. I dedicate every moment to outfoxing both. Wrestling. It defined who I am by teaching me that I could out-train my competitors before the match even started. Competition is won through focus, preparation and dedication. Foster learned at an early age that hard work and dedication pay off. 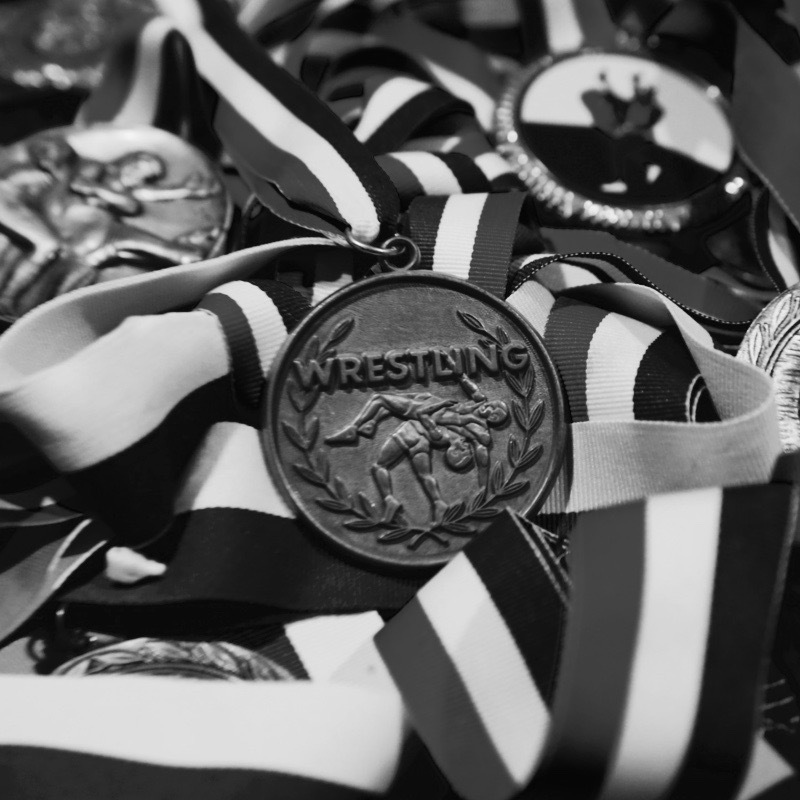 "I trained hard growing up, and quickly recognized a correlation between my hours in the gym and my success on the wrestling mat. I think Thomas Jefferson said it best when he said, the harder you work, the luckier you get." Foster graduated from Capitol College with a Bachelor of Science Degree in Software Engineering and set out to begin his career as a civilian specialist within the Department of Defense at the United States Naval Academy. It was during his time with the Navy that Foster learned to appreciate a sense of mission and national pride while working with groundbreaking technology. This experience was the foundation for his career in what we now consider one of the most advanced industries in the world. Following his time in the government, Foster’s experienced high-growth entrepreneurship at two successful security startups: Guardent (acquired by Verisign for $135M+) and Foundstone (acquired by McAfee for $86M). Foster was critical in architecting and helping to build the technology platforms for both organizations. Foster was also an editor at Information Security Magazine which was acquired by Tech Target Media Group. With deepened experience in the startup scene, and a newfound interest in business strategy, Foster attended the Wharton School of Business at the University of Pennsylvania and at the time was the youngest fellow in his class. After graduation from Wharton, Foster founded Ciphent, a cyber security services and technology firm based in Baltimore, MD. Ciphent grew to nearly 100 employees with 1,000 customers by 2010 when it merged with industry giant, Accuvant. With a three year growth rate of 8900+%, Ciphent was recognized as the Fastest Growing Cyber Security Firm in the United States, the #16th Fastest Growing Private Company in the US and the Fastest Growing Private Firm in Maryland by Inc. Magazine. In his roles as Chairman of the Advisory Board and SVP at Accuvant, Foster led the successful acquisition of V3rity, while the company achieved 50% year-over-year growth in revenue as Accuvant closed in on half a billion in annual sales. Foster is a well-respected industry expert, recognized speaker, best-selling author, and has spoken on Capitol Hill numerous times about the increase and impact of international cyber threats. Foster is currently the co-founder and CEO of the security firm ZeroFOX, which develops innovative enterprise software to help organizations detect and mitigate security threats on social media platforms. The company is backed by Venture Powerhouse NEA, Genacast Ventures (a fund in partnership with Comcast Ventures), Core Capital and others, and has recently won awards such as SINET16, Security Tech Trailblazer and the Golden Bridge Best Risk Management Solution. Foster has been featured as a recognized security source for media publications like Bloomberg Business, TechCrunch and USA Today. Foster resides in Baltimore, MD.